2nd Tuesday of the Month – 7p. Top orthopedic surgeon, Dr. Shivajee Nallamothu, discusses various ways orthopedic problems, whether through disease or trauma, can seriously alter your ability to get around and enjoy life. He’s got solutions to share, both surgical and non-surgical, that help patients reclaim pain-free and fully mobile lifestyles. 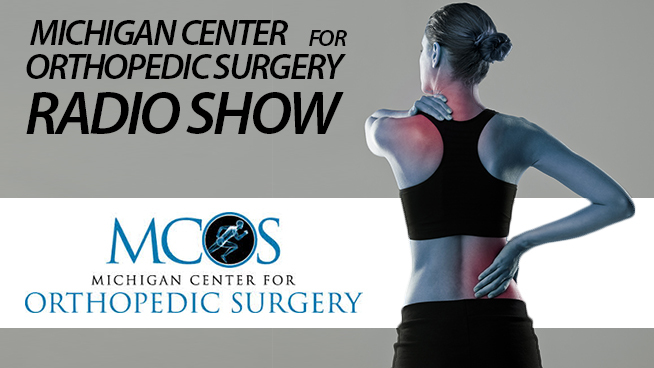 Tune in to check out the latest advances in medical technology and the role medicine can play in controlling and eliminating pain. Dr. Shivajee Nallamothu is a board-certified orthopedic surgeon. He received his medical degree from Michigan State University College of Osteopathic Medicine in 1994. He completed both his internship and orthopaedic surgery residency at Michigan State University, McLaren Oakland, where he served as chief resident. After completing his residency in 1999, Dr. Nallamothu went into private practice with an orthopedic group before founding Michigan Center for Orthopedic Surgery in 2003.